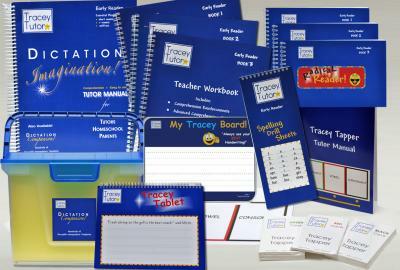 Tracey Tutor Reading and Spelling Programs for All Ages - Great for Schools. Tutors. Homeschool Parents. This page is under construction, but you can still place orders! Visit us often over the next few weeks to see new products and pictures! Our Early Reader Program is our largest, containing a variety of products. 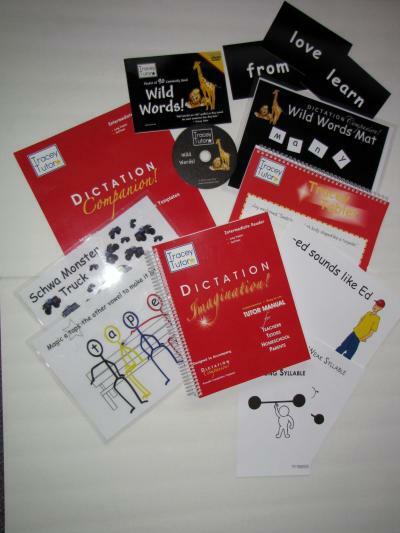 Dictation Imagination Tutor Manual and Dictation Companion, containing 28 individually-wrapped packets (one for each chapter) filled with a variety of word cards, sentence cards, bendie cards, suffix cards, sort boards, and more for mutli-sensory reinforcement of each lesson. 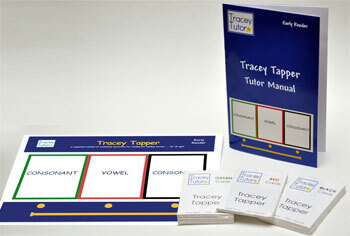 Tracey Tapper, our laminated board with three sets of colorful flash cards and mini Tutor Manual. Beginning with two-letter chunk syllables such as /at/, Tapper takes your students through more complicated short vowel blends words such as /thatch/, and /trudge/. This fast-paced activity builds skill level quickly. Radical Reader, our Comprehension piece, with three Teacher Workbooks and three student-sized Radical Readers correlate to each of the 28 lessons. Everything you need to build a solid foundation in reading, writing, and spelling, and train your student to comprehend written text. A variety of comprehension questions of increasing difficulty in the Teacher Workbook, as well as fun, effective reinforcement activities correlate page by page with Student Book. We provide the questions ... you ask them! 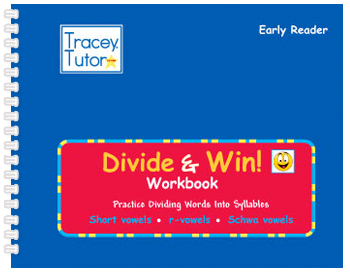 Divide & Win, our Syllabication piece, uses all the skills learned in our Early Reader program. Students graduate to dividing words into syllables. Students love this colorful and fun workbook that takes them from the sounds of the letters ... to reading closed syllables ... vowel-r syllables ... multisyllabic words ... and finally, learning the basic skills needed to divide words into syllables. 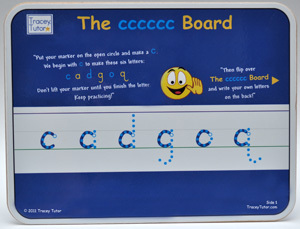 Early Reader also includes our unique Tracey Tablet, our Recordation piece; our two-sided laminated My Tracey Board! and My Divider Board! ; and Spelling Drills Sheets for practice. Intermediate Companion with an abundance of reproducible multi-sensory worksheets, games, activities, sort boards, and more. Intermediate Reader also features Wild Words! Our unique curriculum helps students visually memorize 90 of the most frequently used non-phonetic words using our distinctive black Wild Words! collection of flash cards, abundant word tiles and matboard, and accompanying DVD. Students love Wild Words! The centerpiece of our Early Reader Program. The ultimate Tutor Manual to teach Closed Syllables, Vowel-r Syllables, and Suffixes. Four-Prong Design includes abundant Word Lists, Spelling Drills, Nouns & Verbs Lists, and Sentences for Dictation in all 28 chapters. Page-by-page conversant style Tutor instructions teach what you need to know … when you need to teach it …one chapter at a time. Ideal for classroom use, homeschool parents, tutors, and ESL programs. Our entire multi-sensory line of Early Reader products purposefully work together with our Dictation Imagination Tutor Manual. Although some students naturally possess innate abilities in comprehension, many students do not. At Tracey Tutor, we believe that with early intervention and the right tutoring, students can learn skills which will dramatically improve their ability to comprehend what they read. We begin training students in comprehension skills at our earliest reading level, blue Early Reader. This imperative skill-building continues in our subsequent Intermediate Level and Advanced Level. 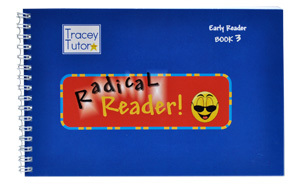 Early Reader includes our three-book Radical Reader Comprehension series. This series builds skills in comprehension, as well as critical thinking, creativity, and basic grammar. Teacher Workbook lesson plans provide you with an array of fresh activities to utilize to the fullest every comprehension opportunity in every lesson. Includes Teacher Workbook Levels 1, 2, and 3 and Student Radical Readers Level 1, 2, and 3. In preparation for writing, Tracey Tutor students learn the fundamental skills of "letter line placement" and "where to place the pencil to begin." Our "Watch Me Write Letters!" and "Watch Me Write Sentences" workbooks provide writing practice. Our ReadWriteSpell series of phonics-based workbooks provide students with extensive handwriting practice while reinforcing reading and spelling. 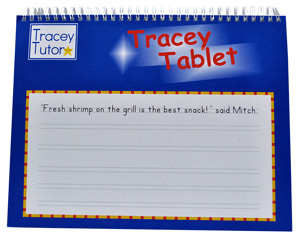 Students love our Tracey Tutor dry erase boards! * Watch Me Write Letters! * Watch Me Write Sentences! Unique one-of-a-kind Tracey Tutor resource designed to reveal and record types of spelling errors & error patterns in closed syllables and vowel-r syllables. Spelling Assessment includes 10 word/syllable tests of increasing difficulty. Each dated test has ten copies for retesting. Unique fold-back design features words on yellow dividers, tutor helps on blue dividers, paper for student testing, and space for Tutor Notes. Spelling Assessment is intended for use with one student. testing process is documented in one handy format. 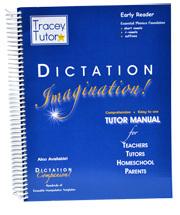 Designed to be used specifically with our Dictation Imagination Tutor Manual and curriculum. Laminated board with three sets of flash cards and mini Tutor Manual. Students love the Tapper! Achieve mastery in reading short vowel closed syllable words and vowel-r syllable words. Green beginning consonant cards, red vowel cards, and black ending consonant cards are quickly flipped to create hundreds of words � from simple 3-letter closed syllables to 6-letters with beginning 3-letter clusters & ending consonant blends. This fast-paced game promotes quick word recognition. Laminated board, flash cards and mini Manual in soft vinyl pouch. Tapper can also be conveniently stored in the DICTATION COMPANION Tote. Your student will be learning to read, write, and spell phonetically. But a small number of words do not follow the rules. In fact, some of the most common words are not phonetically predictable! Tracey Tutor students visually memorize 90 of the most frequently used non-phonetic words using our distinctive black Wild Words! 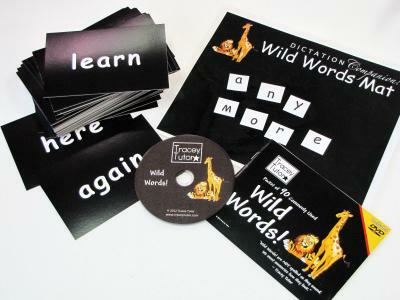 collection of flash cards, word tiles and mat, and accompanying DVD. Students love Wild Words! Using all the skills they learn in our Early Reader Program, Tracey Tutor students graduate to dividing words into syllables. Students love this colorful and fun workbook that takes them from the sounds of the letters ... to reading closed syllables ... vowel-r syllables ... multi-syllabic words ... and finally, learning the basic skills necessary to divide words into syllables. or creating sentences. Student simply flips the board to switch back and forth from one activity to the next. Two teaching tools in one resource. Students love dry erase boards! Begin with c . . . then create five new letters! Students place their marker in the open circle. . . then trace again & again. Master handwriting skills the fun way! When student masters tracing, turn The cccccc Board over and create the six "c" letters with no help! In preparation for writing, Tracey Tutor students learn the fundamental skills of "letter line placement" and "where to place the pencil to begin." Our "Watch Me Write Letters!" workbooks provide writing practice. 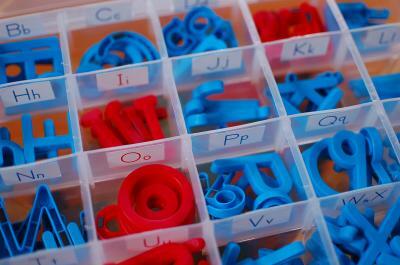 Students trace upper case and lower case letters in a carefully chosen progression. Uniquely wide-sized workbook allows early writers the grace of having enough space to write letters as they learn to properly space their writing. 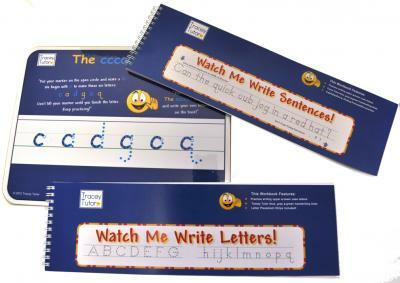 Unique resources for early writers, "Watch Me Write Sentences" workbooks provide writing practice. Colorful prompts remind young writers to be sure to begin each sentence with an upper case letter and end each sentence with one of three punctuation marks - period, question mark, or exclamation mark. Unique wide-size allows early writers the grace to fit the entire sentence on the page as they are learning to properly space their work. Everything you need to build a solid foundation in reading, writing and spelling, and train your student to comprehend written text. Ideal for classroom use by teacher or teacher’s aide, homeschool parents, and tutors, as well as ESL programs, afterschool enrichment, and summer enrichment. A variety of comprehension questions of increasing difficulty, as well as fun, effective reinforcement activities correlate page by page with Student Book 1. We provide the questions . . . you ask them! Everything you need to expand your student’s reading and spelling foundation, and strengthen comprehension and writing skills. Ideal for classroom use by teacher or teacher’s aide, homeschool parents, and tutors, as well as ESL programs, afterschool enrichment, and summer enrichment. A variety of comprehension questions of increasing difficulty, as well as fun, effective reinforcement activities correlate page by page with Student Book 2. We give you the tools to inspire your student! Everything you need to challenge your student to new heights in reading, comprehension, intuitive thinking, and creative writing skills. Ideal for classroom use by teacher or teacher’s aide, homeschool parents, and tutors, as well as ESL programs, afterschool enrichment, and summer enrichment. A variety of comprehension questions of increasing difficulty, as well as fun, effective writing reinforcement activities and projects correlate page by page with Student Book 3. We give you word definitions, suggested projects, and comprehension challenge questions! Easy to hold and fun to use “half-size” Reader for students. 64 pages of five sentences each. Specifically chosen words reinforce use of upper case letters, recognition of short vowel sounds, ending punctuation, use of –ck and qu-, quotation marks, and early grammar. Designed to be used with Radical Reader Teacher Workbook 1 which contains an abundance of multi-sensory comprehension reinforcements and activities for each page. “Half-size” Reader that students love to read! 65 pages of sentences and creative stories. Specifically chosen words of increasing difficulty reinforce flsz, h-digraphs, beginning consonant blends, ending consonant blends, 3-letter clusters, soft c and soft g sounds, ng & nk, tch & dge, creative writing, and increasing grammar. 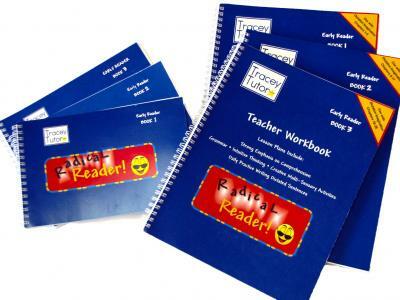 Designed for use with Radical Reader 2 Teacher Workbook with abundant comprehension reinforcements and multi-sensory activities for each page. The 3rd in our series of Student “half-size” Readers. 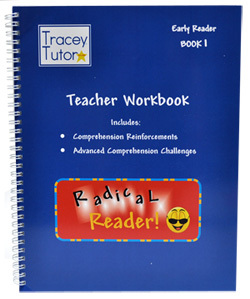 Designed for use with Radical Reader 3 Teacher Workbook with abundant and challenging comprehension reinforcement and multi-sensory activities for each page. A versatile student practice tablet. 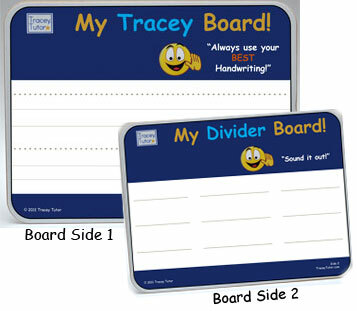 Features Tracey Tutor’s uniquely designed and purposefully lightened lines, allowing student’s handwriting to be prominently showcased. 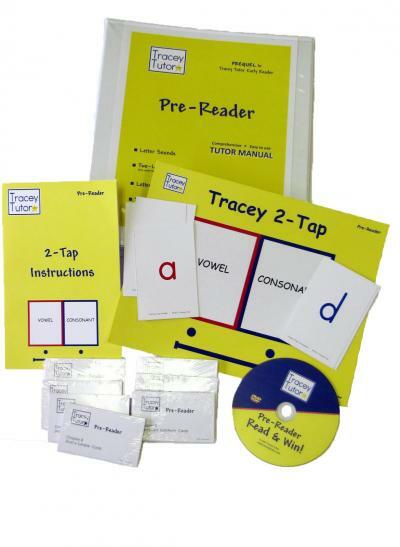 Tracey Tutor recommends students use the Tracey Tablet with Radical Reader Student Books 1, 2 and 3 when writing their “Super Sentences/Paragraphs” with correct spelling, punctuation and capitalization. Having an “official” dictation book like Tracey Tablet reinforces both reading and spelling skills, and encourages excellence in written work. Distinctively-shaped lined drill sheets visually aid students in spelling syllables or words. Drill sheets can be used as students progress from writing three-letter words, such as c a t to cluster words such as spr i nt to multisyllabic words such as fan tas tic. The "visual" effect of Spelling Drill Sheets accelerates student's reasoning in hearing and spelling words correctly. Spelling Drill Sheets also serve as documentation for student's daily spelling progress.